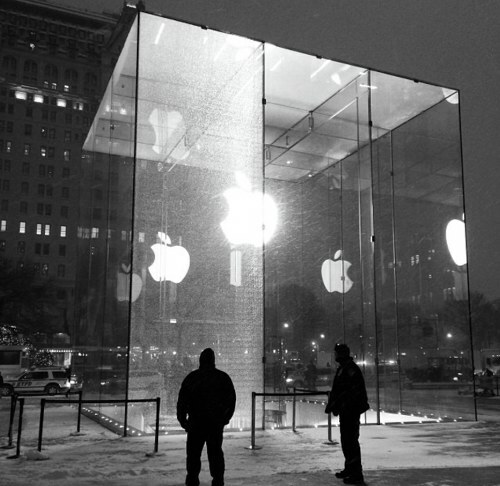 Snowblower has accidentally shattered one of large glass panels in Apple’s iconic Vube on 5th Avenue. One this glass panel costs approx. $450,000 according to 2011 renovation project. Currently it’s still not clear when Apple will replace this panel.